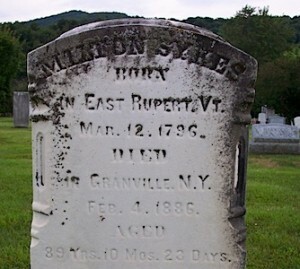 In this taxonomy, this gravestone in Vermont is classified as a modified (Type) standing stone (Family) within the class Notable Stone. This class includes all objects in which one discrete stone is the object of attention, rather than a collection of them, which would otherwise be a stone concentration, a stone wall, or a stone row. This family of notable stones must be large (boulder-sized or bigger), elongate (prisms, columns, or blades), and oriented such that their center of gravity is much further off the ground than other, more stable positions (buried is the b-c plane). Most were inserted into excavated holes and later propped up to stand straight. They may be singular or in a group. Standing stones are divided into two basic types, modified and unmodified. A common gravestone, qualifies as a standing stone, and may be of either type. These bear deliberate tool marks from quarrying, polishing, cutting, engraving, etc. Any granite post or any engraved headstone is a modified standing stone. 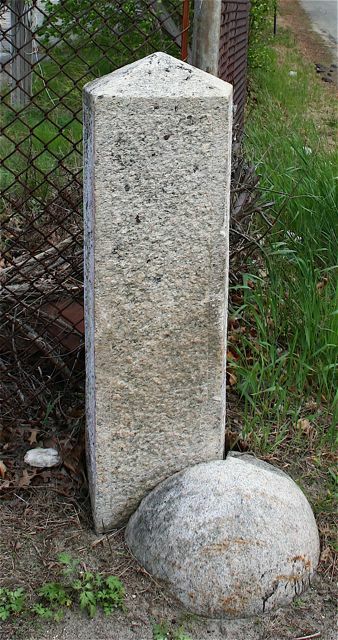 The corner post, often used as a survey monument, is an example of a modified (Type) standing stone (Family) within the Class Notable Stone. In the photo above, the post is a standing stone whereas the ball is not because the former has a more stable center of gravity. The latter does not. These do not bear marks (plain field stone). Scrape and scratch marks associated with moving the stone do not qualify. A small slab of fieldstone used as cemetery foot-stone qualifies. 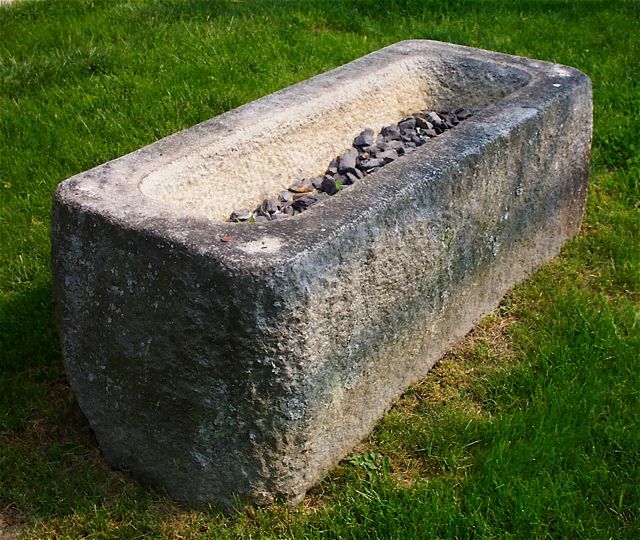 This family of notable stones must also be large, but their centers of gravity lie closeR to the ground, either on edge (a-c plane) or on the flat surface (a-b plane). The most familiar type are large glacial erratics, which remain in the position where they were left by the ice. Even if unmoved, they qualify as Notable Stones because they have become culturally relevant. Many have received names. These discrete, singular, and stable stone objects were often the sites of ceremony or celebration, for example Painted Rock at Block Island, which is alleged to be in its natural position. 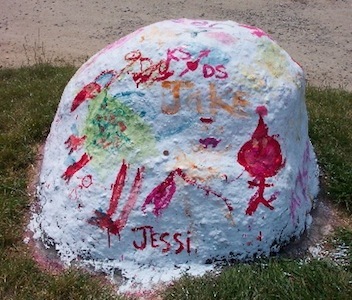 Painted Rock, Block Island is a stable (family) notable stone qualifying as an erratic (type) because it was not moved from its original position. This taxon is used even when a human movement is suspected, but cannot be proven. Most erratics were let down by the ice during the final stage of melting. Subtype: Un-quarried – the subtype un-quarried for natural objects that were moved. Most famous is Plymouth Rock, in Plymouth MA. Subtype: Quarried – This is reserved for culturally created objects that were cut from stone and moved to the site of interest. A stone obelisk such as Cleopatra’s Needle is a good example. So is a stone post at the end of a stone wall, on which a gate was hung. Shaped (subtype), placed (type), non-standing (family) notable stone (class).